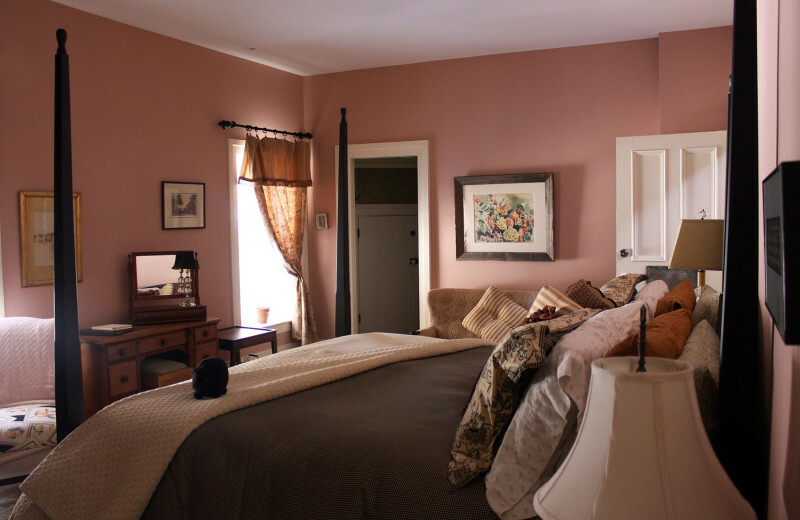 Black Sheep Inn and Spa is a historic Finger Lakes Bed and Breakfast that welcomes couples and solo travelers alike. The inn was built in 1859 and is listed on the National Register of Historic Places as the T.M. 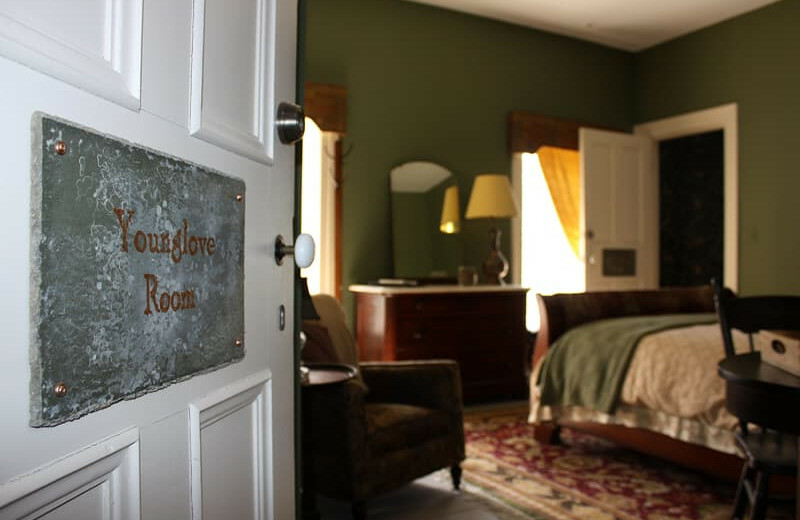 Younglove Octagon House for its peculiar architectural style known as “Octagon Mode.” The Black Sheep Inn and Spa offers five cozy guest rooms featuring elegant amenities to make you feel right at home. During your stay, you're guaranteed to indulge in excellent Concierge Services as you discover the beauty of the Finger Lakes! 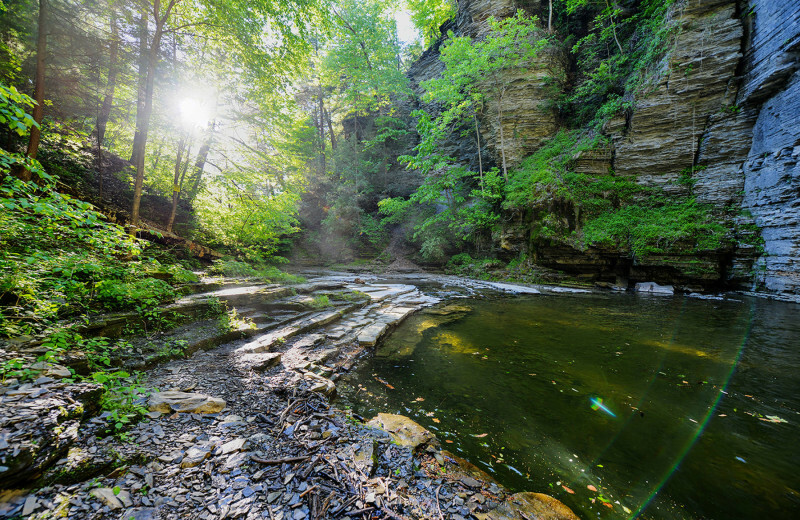 Visit the Pigtail Hollow State Forest and Urbana State Forest and enjoy beautiful hiking trails and spectacular flora and fauna. 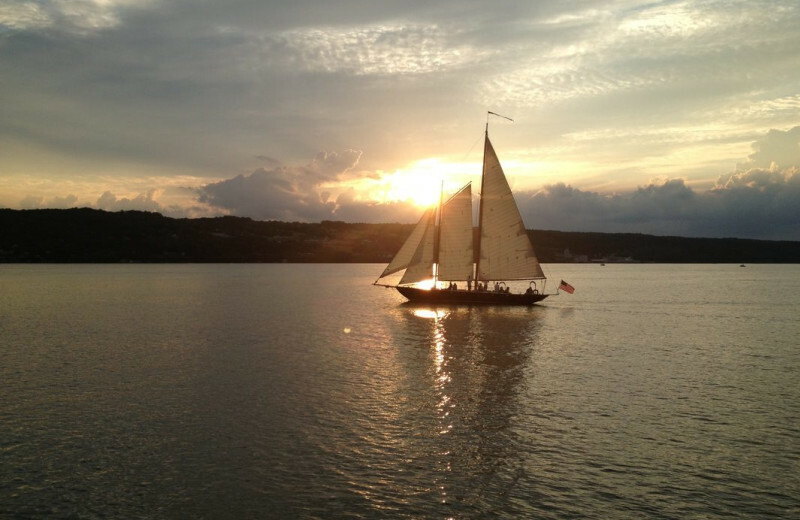 The Keuka Lake offers countless water activities including canoeing, kayaking, and fishing. Inquire today and enjoy an unforgettable getaway! Black Sheep Inn and Spa is surrounded by Mother Nature. Whether you enjoy fishing, hiking or bird watching, you will find plenty of that and more around here! Plan a visit to the Birdseye Hollow State Forest and enjoy activities like hunting and trapping as well as cross-country skiing, snowshoeing, and snowmobiling in the winter time. The Finger Lakes offer a year-round fishing destination for all ages and skill levels. Black Sheep Inn and Spa invites you to pack your fishing poles and cast your line around 22 miles of shoreline a Keuka Lake. Keuka is home to brown trout, smallmouth bass, and landlocked salmon as well as other species. And after your fishing adventure, take advantage of the public docks at the Depot Park waterfront and "Dock and Dine." Sometimes you just need to get away from it all and spend quality time with your sweetheart. 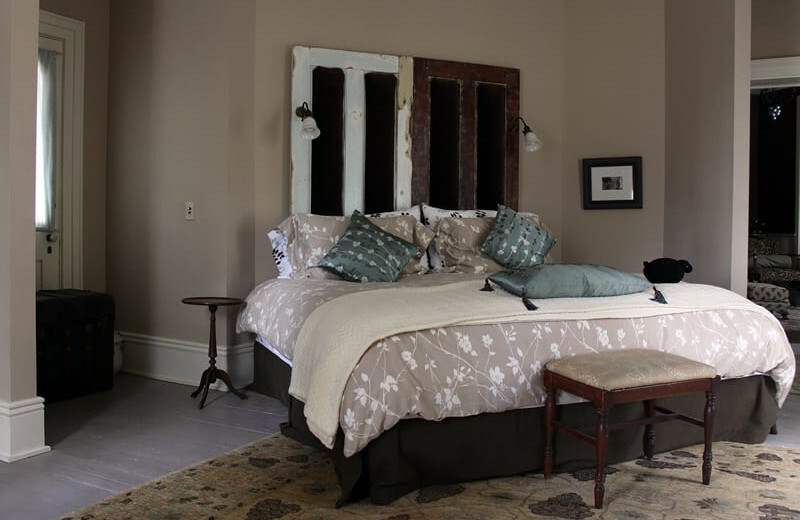 Black Sheep Inn and Spa features the perfect love nest for the two of you! Whether it's through a relaxing couples massage or a scenic hike, this is your opportunity to reconnect. 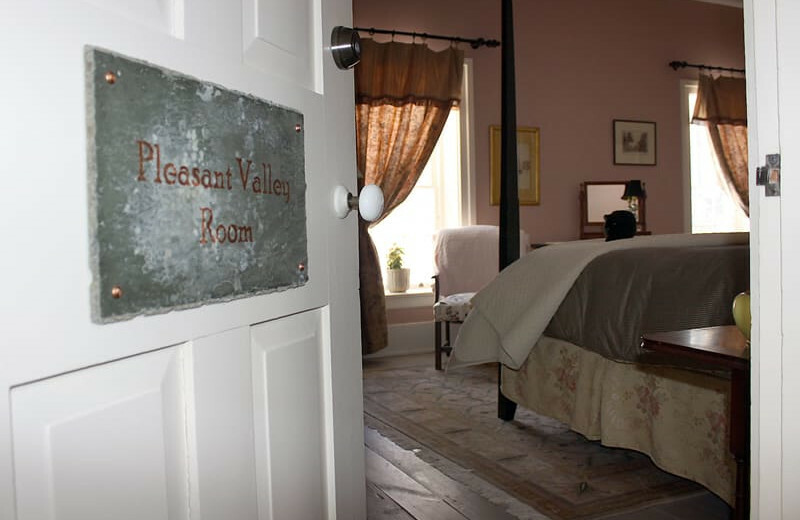 Unwind in cozy accommodations and discover the Finger Lakes! 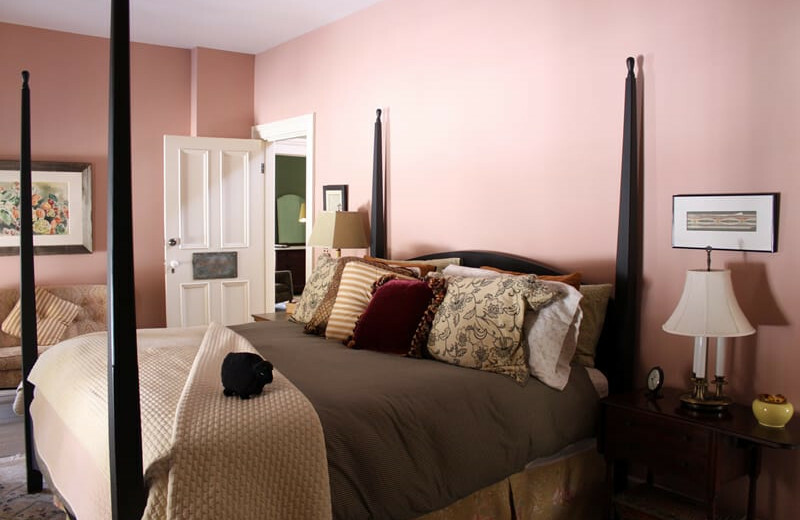 Black Sheep Inn and Spa is a lavish destination waiting for you and your loved ones right in the heart of the Finger Lakes! Experience excellent service and indulge in lush towels, monogrammed robes, and Concierge Services including customized massages, floral arrangements, and luxurious excursions to local attractions. Black Sheep Inn and Spa was built in 1859 and became a National Register of Historic Places as the T.M. 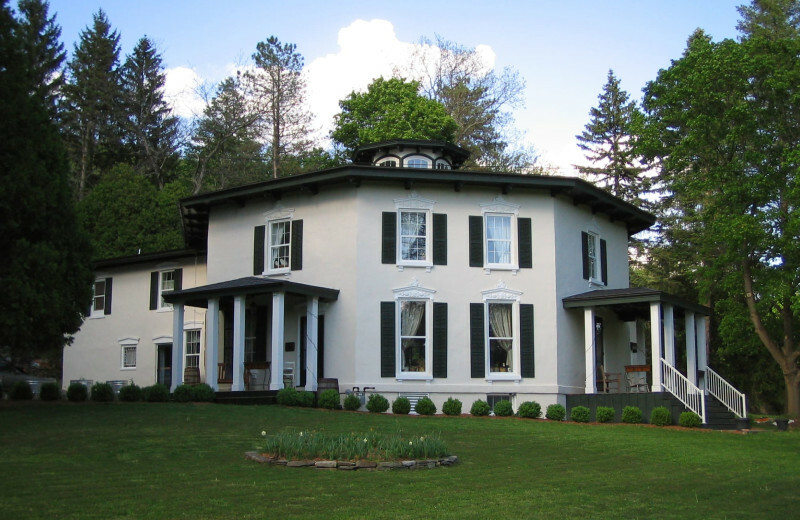 Younglove Octagon House due to its architectural style, known as the “Octagon Mode.” This cozy bed and breakfast is a dramatic example of Orson Fowler’s “Octagon movement” in New York State in the mid 19th century. The Victorian-style porch welcomes you to sit back, relax and travel back in time. The Black Sheep Inn and Spa has been added to Atlas Obscura as an architectural oddity. Come and experience this unique destination today! After the excitement of your wedding day, there's no better place to start your life together than Black Sheep Inn and Spa. 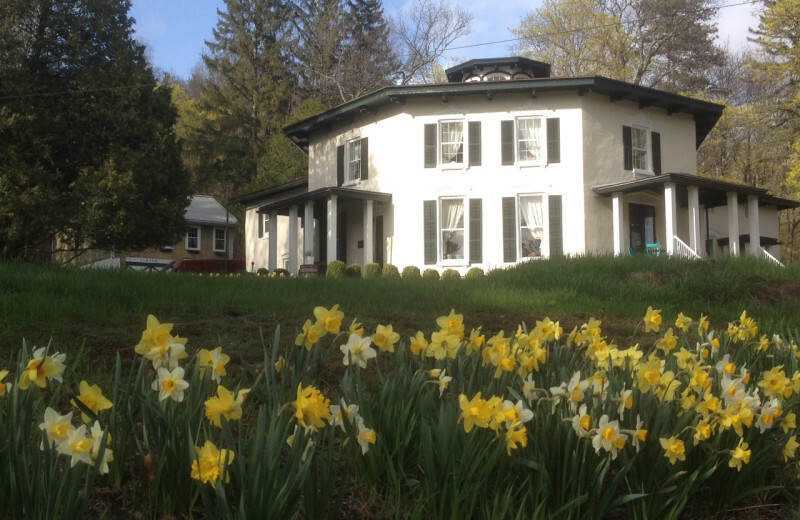 This historic bed and breakfast welcome honeymooners to relax and enjoy the natural beauty of the Finger Lakes. Whether you decide to rent a boat and take in a beautiful sunset on a nearby lake, or tour local wineries and breweries, there's always something to do. Your happily ever after starts right here! 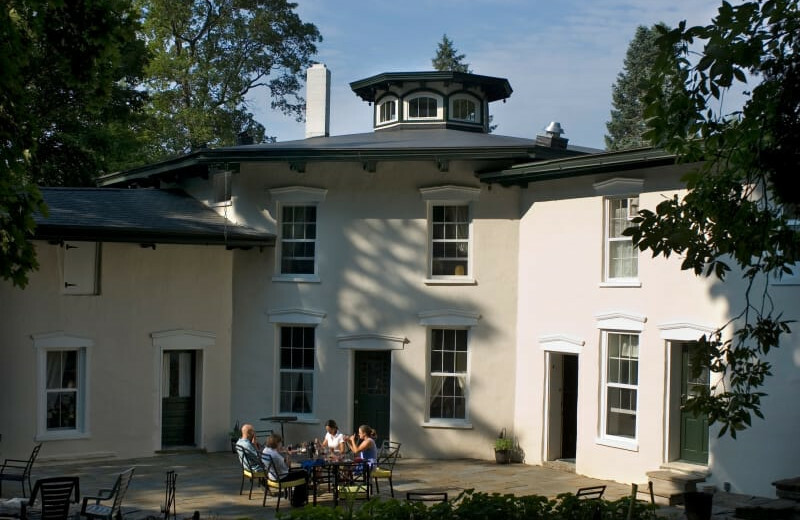 Dating back to 1859, the Black Sheep Inn and Spa is a beautiful and historic New York retreat. Located in the stunning Finger Lakes region, this excellent destination provides a peaceful retreat from all the stress of everyday life. Come discover their unique architectural style known as the "Octagon Mode," and indulge in the lovely views from the comfort of the Victorian porch. 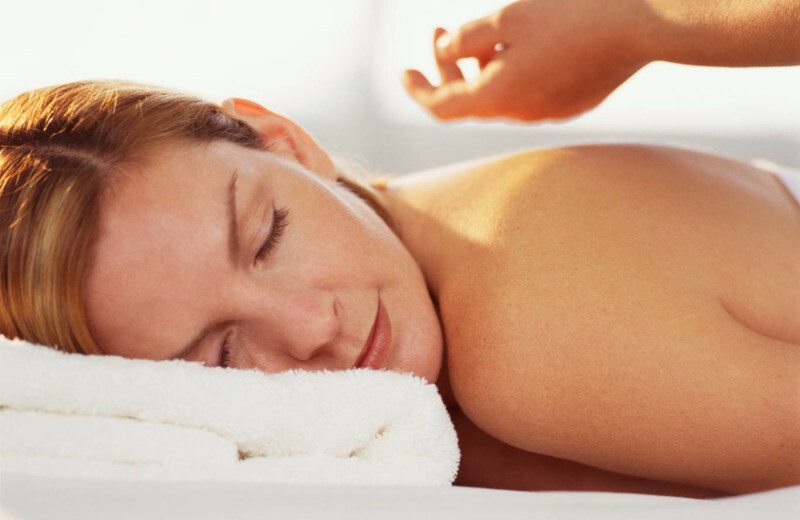 Soothe your worries away with a rejuvenating massage onsite and so much more. There's no better place than this for your next vacation! 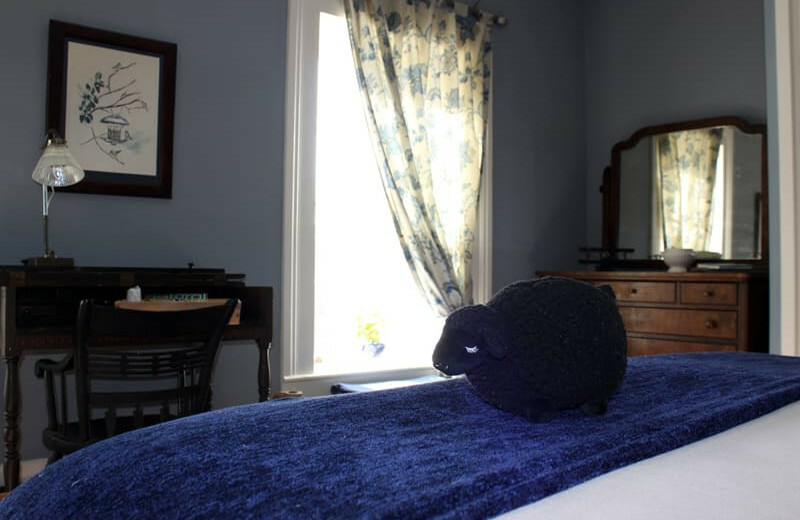 Make your Black Sheep Inn and Spa getaway a relaxing one and book a healing massage with any of their licensed therapists. Whether you decide to get pampered alone or with your sweetheart, a traditional Swedish, hot stone or deep tissue massage will do its magic. Rejuvenate with the hand-crafted herbal infused oils and relax in your luxurious room after a long day! · Two, 2-3 hour, Bench Building sessions at the F.L.A.V.O.R. Studio, where you will receive detailed instruction and learn the skills needed to construct your very own Headboard Bench. 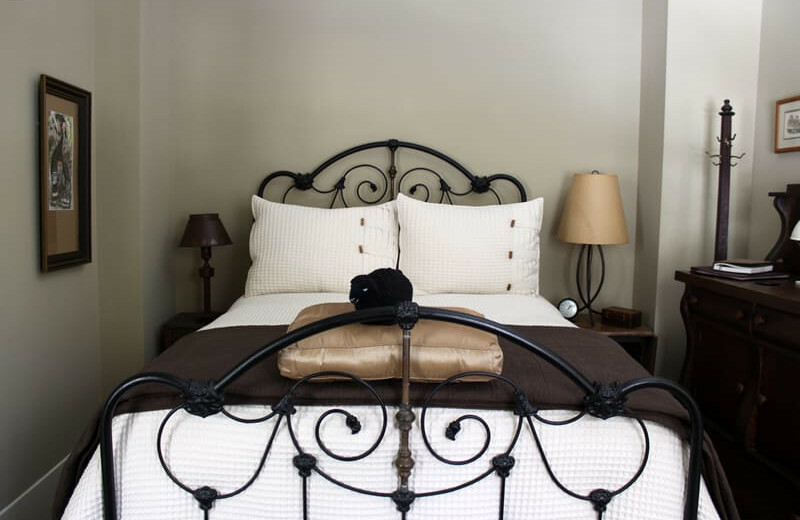 We provide all of the supplies and materials including the headboard of your choice from the selection we have on hand. · A F.L.A.V.O.R. Studio apron to help keep your winetasting duds clean while you work in the studio. 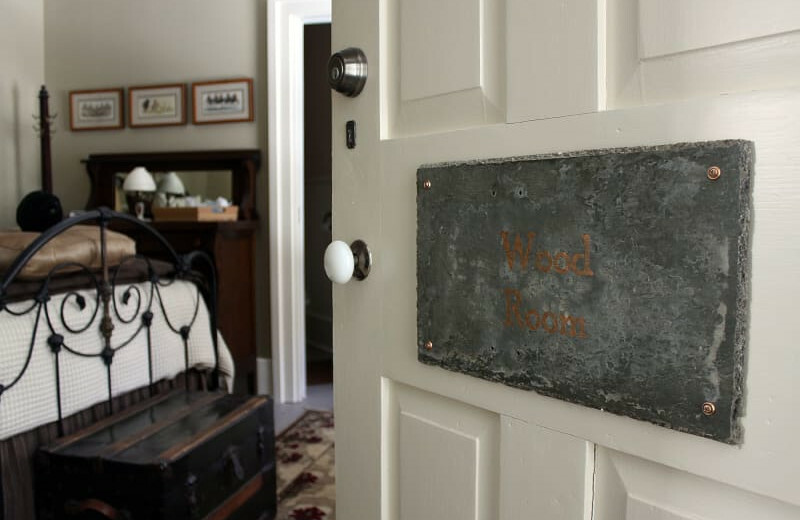 · Your third night at the Inn is half-price on us to make sure you have enough time to complete your bench and explore the Finger Lakes, too. · And to keep you warm, a Handmade pottery mug created by a local potter to enjoy our special Inn Hot Chocolate during your stay, and to take home. 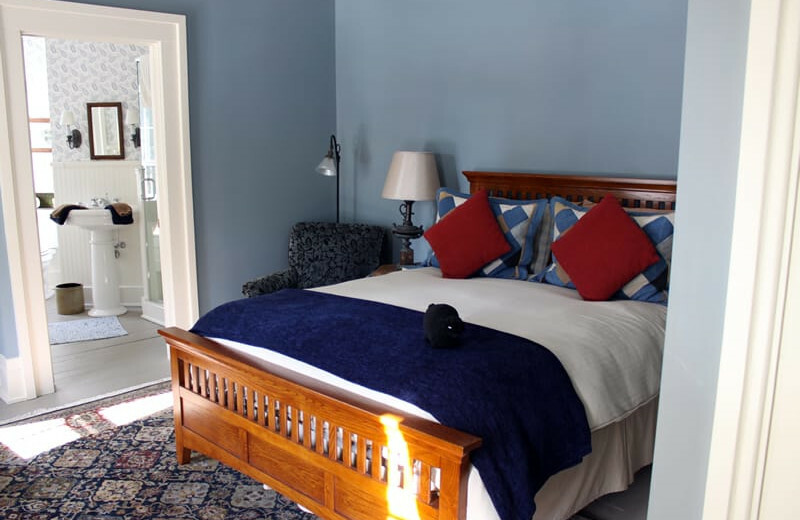 When reserving your room, be sure to add the Build a Benchin Wine Country package to your itinerary. · Craft Beverage Tasting Passes, valid at 4 of our partner producers. · One of our signature, insulated 64 ounce growlers to keep your new favorite fresh for the ride home. · Your very own Black Sheep Guild card, which offers exclusive perks with our many Guild Partners. · Schedule a “Hands-on” class in F.L.A.V.O.R. Studio, on the grounds of the Inn, to create a one-of-a-kind keepsake in Stained Glass or Mixed Media to take home. The Finger Lakes is world renown for its wine, and the local craft beer movement has established a strong presence in the region as well. What many people don’t know is that the Finger Lakes is home to an impressive collection of Craft Distillers who utilize local ingredients in their production of signature spirits, including Vodkas, Whiskeys, Gins and Liqueurs. · Inn Harvest cooler filled with a selection of local cheeses, veggies, crackers and something sweet to enjoy during your adventure. · A Signature stainless steel insulated water bottles, to keep you hydrated. 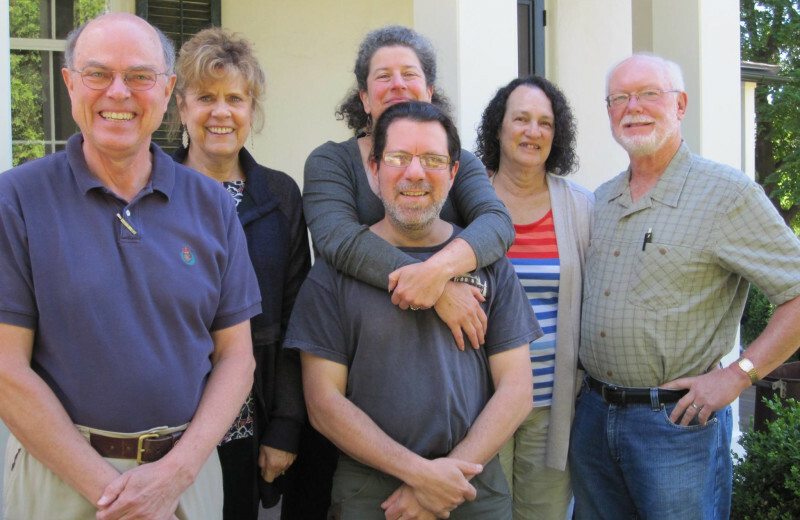 · Schedule a “Hands-On” class in F.L.A.V.O.R. Studio, on the grounds of the Inn, to create a one-of-a-kind keepsake to take home. 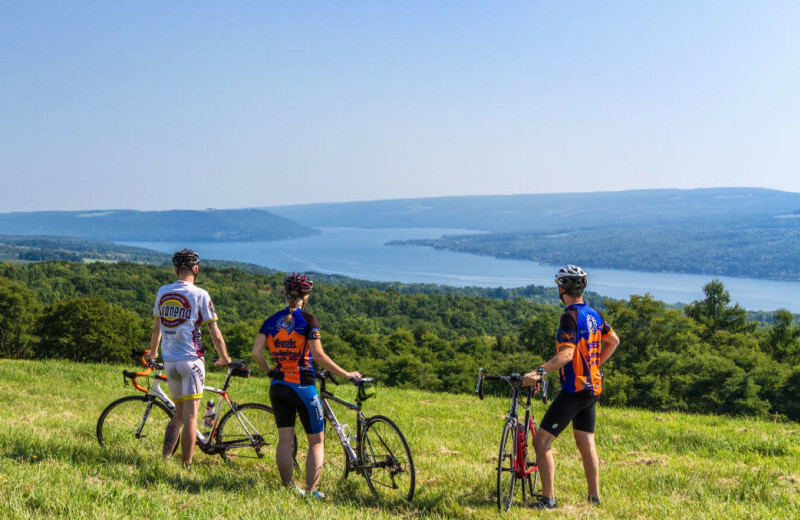 The Finger Lakes Distillery Trail is $99.00 per person, is an add-on to your stay and not included in the cost of your guest room. To enjoy our special organic Farm to Table breakfasts, reserve your room at the Black Sheep Inn and Spa, a premier Keuka Lake bed and breakfast, and be sure to add the Finger Lakes Distillery Trail package to your itinerary when booking your stay. · A 90 minute Pottery session at Rocky Hill Pottery, where you will get to select colors, and glaze a pre-fired FLW inspired pottery tile. · A 90 minute session at F.L.A.V.O.R. Studio where you will learn basic Stained Glass techniques as you create a small panel with a FLW inspired design. · 2-day admission ticket to the Corning Museum of Glass to view several FLW windows in the permanent collection, as well as all of the other amazing demonstrations and exhibits. · Admission to the Johnson Museum of Art on Cornell University’s campus to visit the FLW windows in their collection. This pair of windows is originally from the Darwin Martin House in nearby Buffalo. To enjoy our special organic Farm to Table breakfasts, reserve your room at the Black Sheep Inn and Spa, a premier Keuka Lake bed and breakfast, and be sure to add the Frank Lloyd Wright in the Finger Lakes Experience package to your itinerary when booking your stay. Your Finger Lakes Girlfriends Getaway is all about you and your friends coming together for a fun and relaxing time together. Whether it’s your college buddies, your fellow moms, or just a group of close friends, the Black Sheep Inn and Spa is the place to meet and get the party started. · A rejuvenating 60-minute Swedish massage in our on-site Spa. 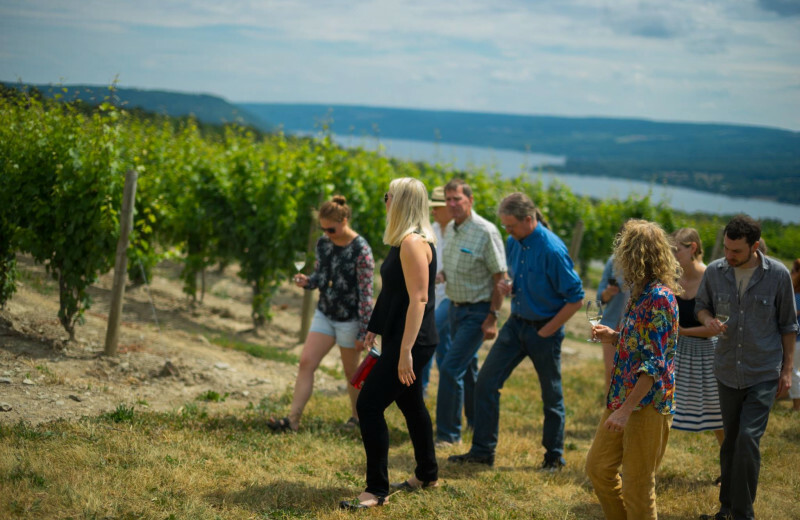 · A visit to one of our favorite boutique Keuka Lake wineries for a wine and handcrafted chocolate pairing. · You may choose an afternoon of local shopping, whether its handmade pottery, antiques, or just souvenirs for your friends and family back home, or enjoy tastings at some of the local New York State Craft breweries or Finger Lakes wineries. · Schedule a “Hands-on” class in F.L.A.V.O.R. Studio, on the grounds of the Inn, to create a one-of-a-kind piece to take home. The Girlfriend Getaway Package is $135.00 per person, is an add-on to your stay and not included in the cost of your guest room. This package is also available to you even if you are not a guest of the Inn. Please call us to reserve. To enjoy our special organic Farm to Table breakfasts, reserve your room at the Black Sheep Inn and Spa, a premier Keuka Lake bed and breakfast, and be sure to add the Girlfriend Getaway package to your itinerary when booking your stay. Based on availability. 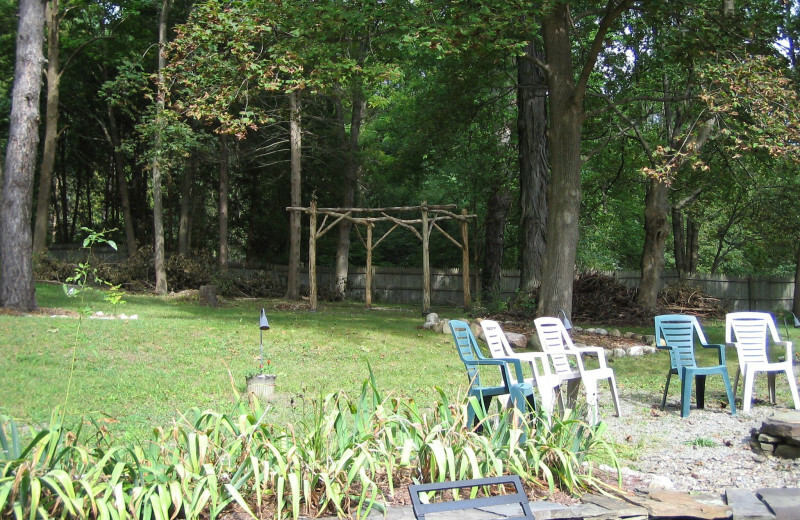 Our Inn can accommodate a max of 15 women for a Girl Friends Getaway to the Finger Lakes! · A F.L.A.V.O.R. Studio apron to help keep you clean while you work in the studio, and to take home as well. · And to keep you warm while you create, a Handmade pottery mug created by a local potter to enjoy our special Inn Hot Chocolate during your stay, and to take home. The Keuka Lake Wine Trail Package is $59.00 per person, is an add-on to your stay and not included in the cost of your guest room. This package is also available to you even if you are not a guest of the Inn. Please call us to reserve. 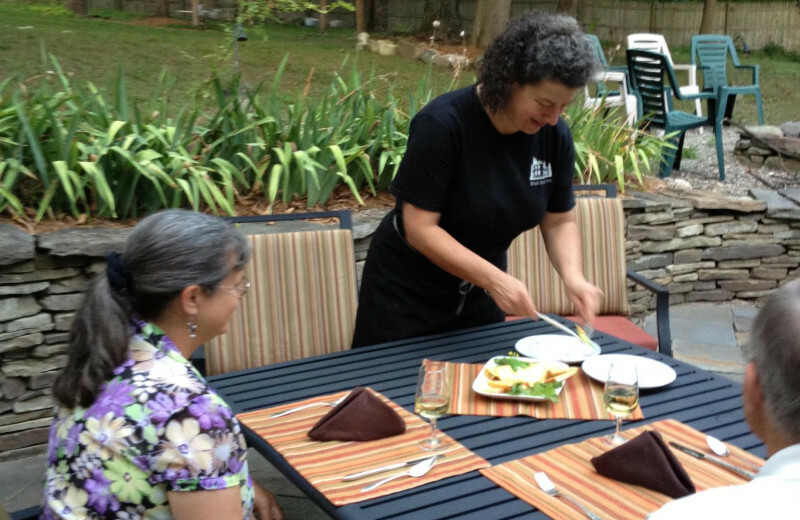 To enjoy our special organic Farm to Table breakfasts, reserve your room at the Black Sheep Inn & Spa, a premier Keuka Lakebed and breakfast and be sure toadd the Keuka Wine Trail Package to your itinerary when booking y our stay. Based on availability. 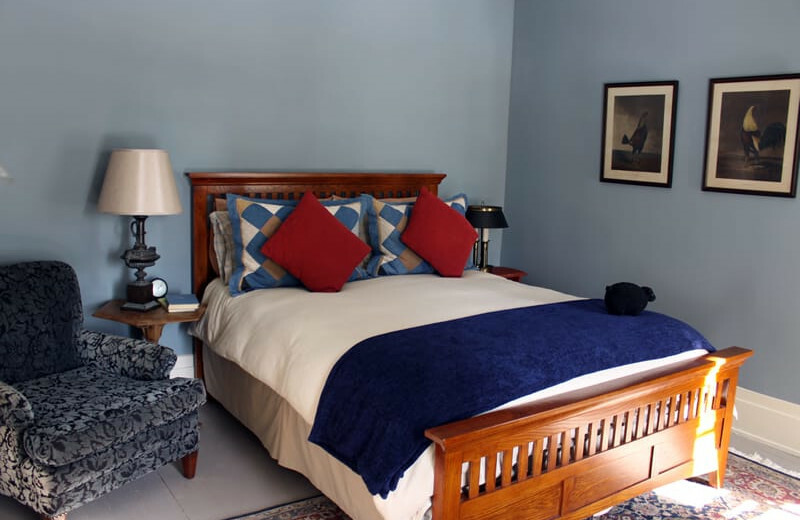 If you choose to book your stay during a time when the "Dated events" are not happening, Black Sheep Inn & Spa offer the Inn version of this package ensuring a wonderful getaway and experience! · A romantic, couples Swedish massage in our on-site Spa. 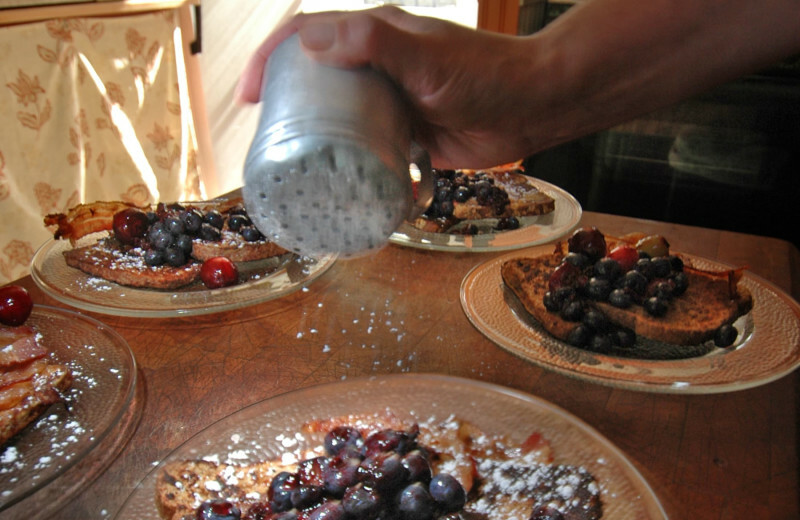 · Private candlelit, organic Finger Lakes Farm to Table breakfast, with our exclusive Signature Coffee Flight. · A Glass blowing experience at Corning Museum of Glass, with several options to choose from. · Upgrade your tickets to the Corning Museum of Glass to include tickets to the Rockwell Museum of Western Art for an additional $8.50. 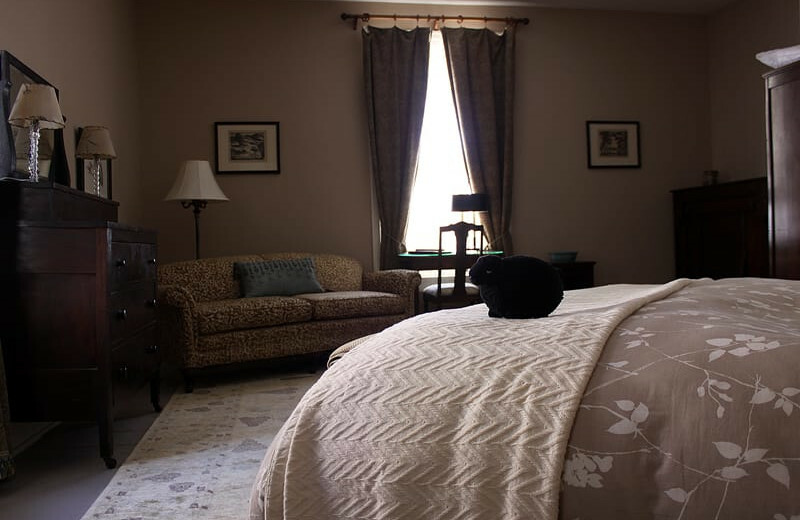 To enjoy our special organic Farm to Table breakfasts, reserve your room at the Black Sheep Inn and Spa, a premier Keuka Lake bed and breakfast, and be sure to add the Tiffany and Treasures Trail package to your itinerary when booking your stay. · A one-year North American Reciprocal Museum Association membership giving you exclusive access to over 1000 museums in the U.S., Canada and Mexico. More specifically, there are 9 museums in the Finger Lakes that are in this program, including the Corning Museum of Glass. 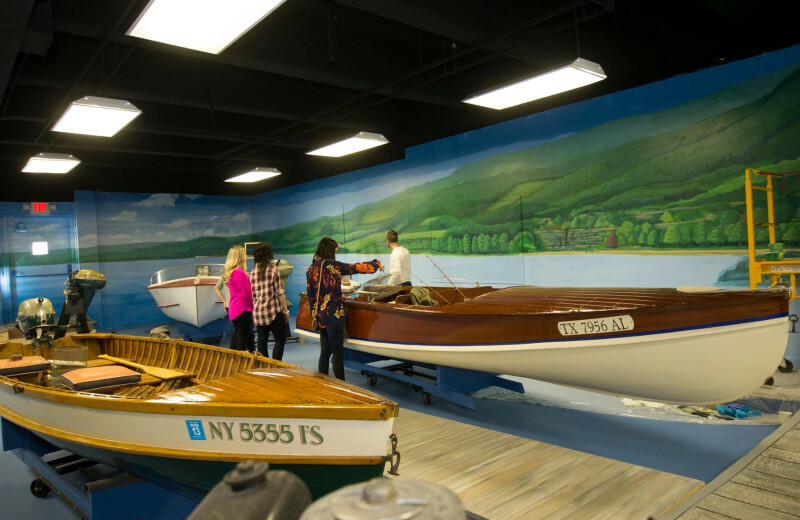 · A ticket to the Finger Lakes Boating Museum, where you will discover the extensive boat-building tradition in the region. 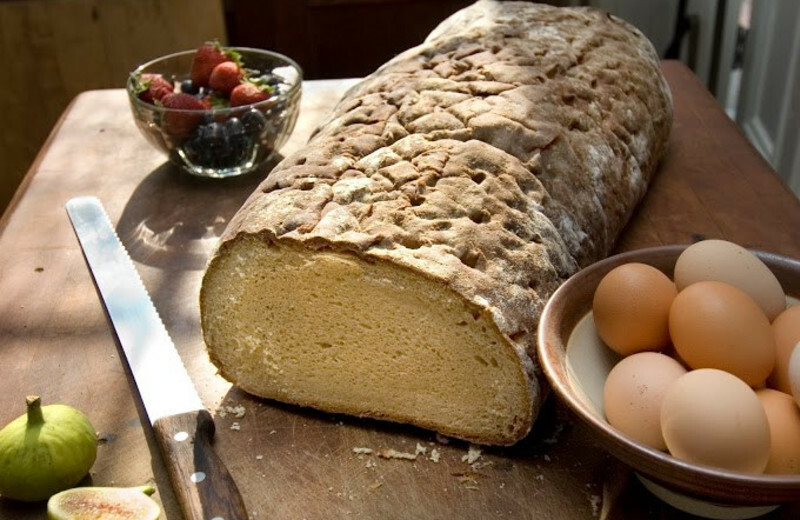 · A handmade gift from the Inn. · Schedule a rejuvenating Spa treatment with one of our licensed therapists in our on-site Spa, to help you relax after a long day of museum visits. · Tastings and snacks at 4 select boutique wineries. 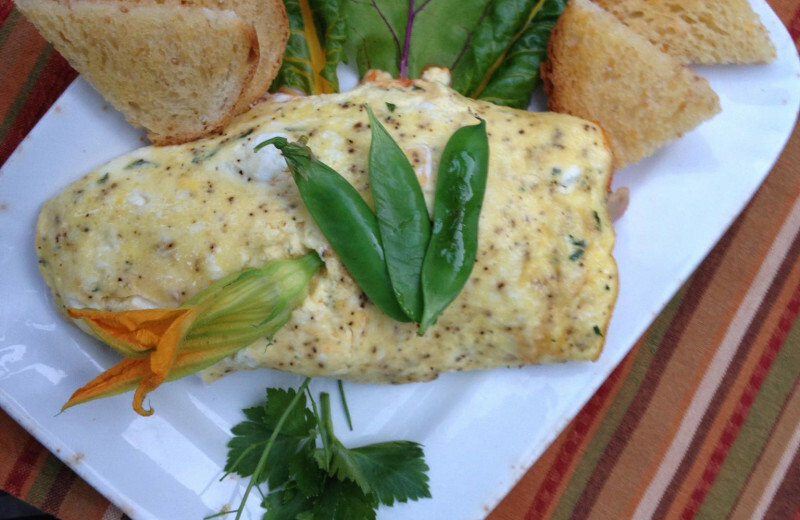 · Farm to Table Breakfast each morning. · To keep you warm, a Handmade pottery mug created by a local potter to enjoy our Inn Signature Hot Chocolate during your stay, and to take home. A romantic retreat is a fun and relaxing time for any couple to reconnect, talk and well…you know the rest. 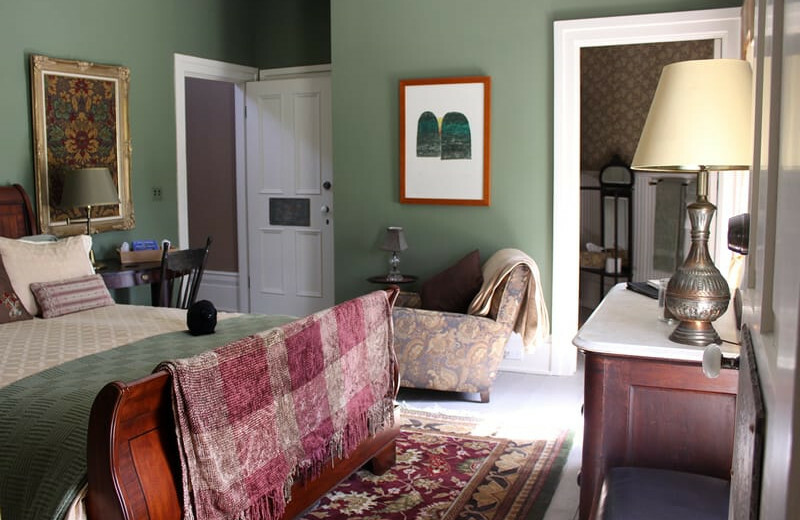 And it is extra special, surrounded by the natural beauty of the winter season in the Finger Lakes of New York State, and the warm and cozy Black Sheep Inn and Spa in Hammondsport. · A relaxing, couples Swedish massage in our on-site Spa. · Handmade Stained Glass Heart Ornament as a gift from the Inn. You can even come out to the Studio to choose the glass, and watch the piece being created. When reserving your room, be sure to add the Winter Romance Retreat in Wine Country package to your itinerary.